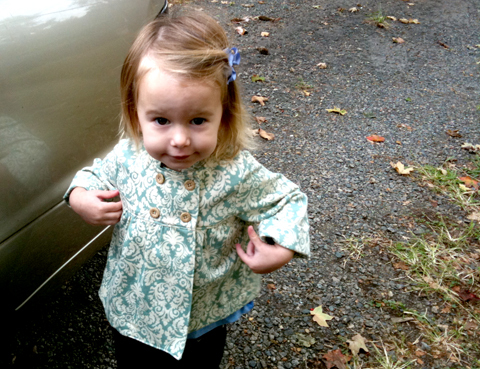 I finished Louisa's fall jacket a few weeks ago but she's just starting to wear it now. I used my first Oliver + S pattern: the Sunday Brunch Jacket. I had high expectations for this pattern considering all its rave reviews, and of course, the fabulous instructions and diagrams made even this fancy jacket a breeze to make. The seam binding tape on the inside really makes the jacket look professional. 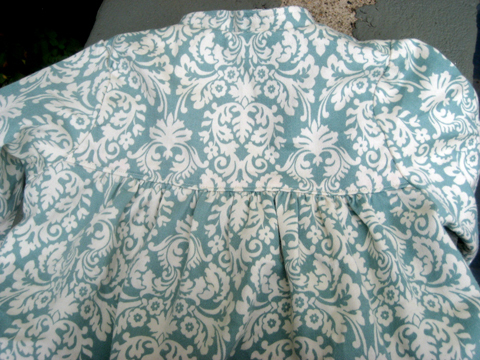 The fabric is upholstery weight, ("dry clean only,"which I chose to ignore. It seems fine and I've washed it a few times now). A nice cotton that I found at Valley Fabrics in Stuarts Draft. I think it was $6.50/yard. 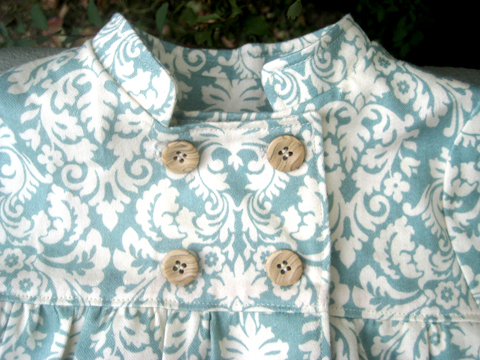 The wooden buttons and bias tape were a few dollars and the pattern was $16, so the jacket cost me less than $30. 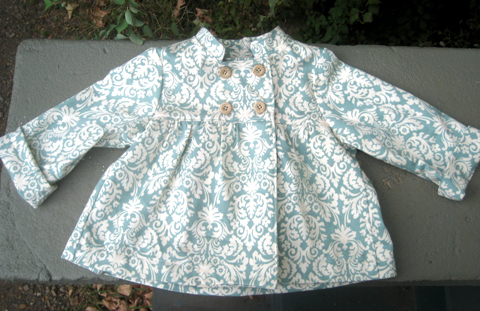 And when I make the pattern again, it will be a fabulous deal for such a stylish little jacket. She gets compliments every time she wears it. I might make it with just two larger buttons (like they did on the purlbee) next time because buttoning (and unbuttoning) all four is kind of a chore. I would like one in my size. Next up, Leo's jacket! Just sewed the buttons on last night. 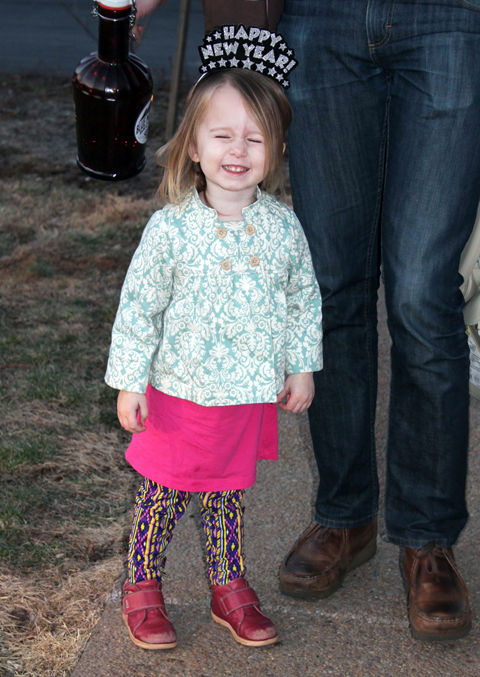 Update: Here she is wearing it a couple months later on New Year's. So cute on her! I love your fabric choice--isn't upholstery weight great for things like this? Cute jacket. I've had this pattern a while but haven't gotten around to making one. 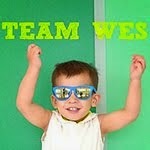 I really like your version.